American horses currently face the worst threats to their survival that we've seen in decades. Frankly, we are alarmed and scared, and we need your help. The White House has proposed an outrageous budget plan to cull our federally protected wild horse and burros. 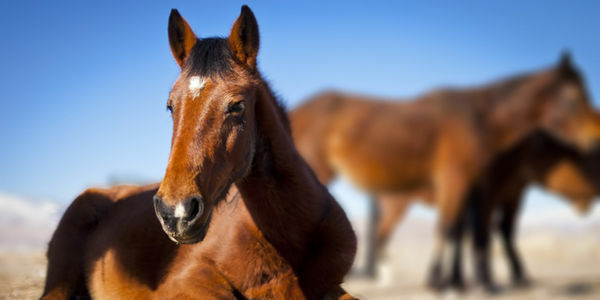 If this change is allowed, tens of thousands of healthy horses are in danger of being killed by the federal agency charged with their care and many others could be trucked to Mexico or Canada for slaughter. At the same time, foreign-based horse meat purveyors are sharpening their knives and preparing to set up shop on U.S. soil. That's because there's a chance that Congress, for the first time in years, won't act to prohibit USDA horse slaughterhouse inspections. And if that happens, what a prize for the slaughterers — they'll be able to get their hands on our formerly protected wild horses, too, not just unlucky former pets, racers and workhorses. We would go from no horse slaughter in the U.S. to extreme slaughter — and once our wild herds are gone, there's no getting them back. We're calling on animal lovers like you to speak up. Simply put, no horse is safe at the moment, and we're counting on you. Sign your name and pledge to put the government on notice that these brutal plans must not move forward!